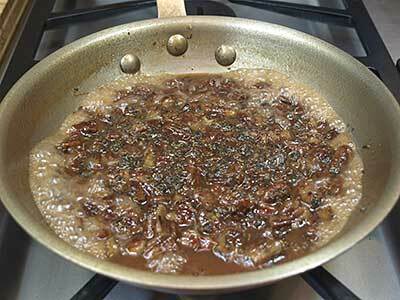 Good lean pork and pecans in a sweet and savory sauce. 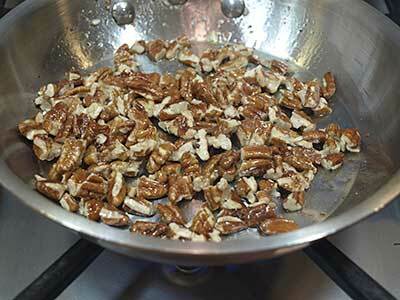 This is the perfect dish as Fall comes on. 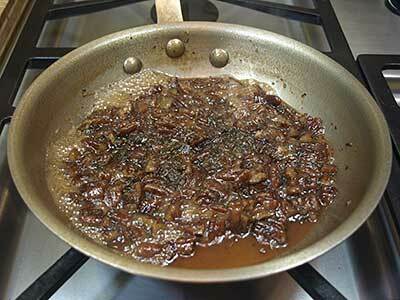 Both the pecans and the pork are high in monounsaturated fat. 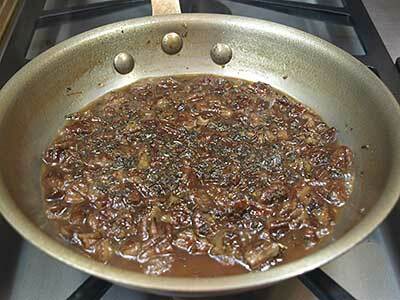 Warm and rich, this goes so well with mashed potatoes or yams and the whole dish takes all of about 30 minutes. 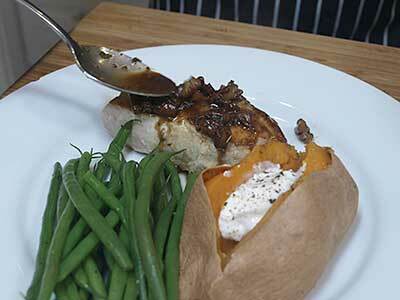 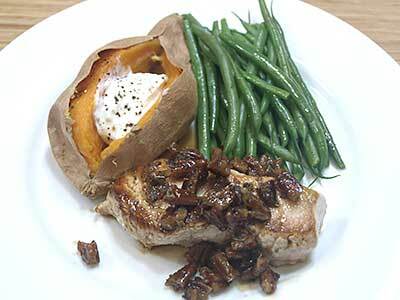 Here's the recipe for Pork Chops with Bourbon Pecan Sauce without the pictures. 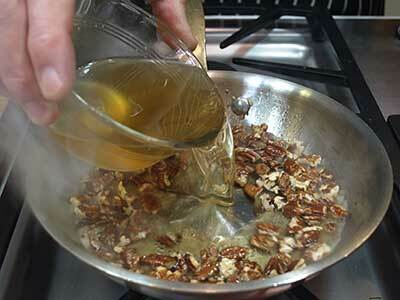 You can print the recipe by clicking the print icon at the top of the right-hand column. 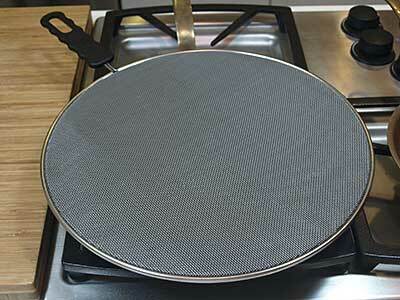 Be sure to turn off any popup blockers, as it opens in a new window. 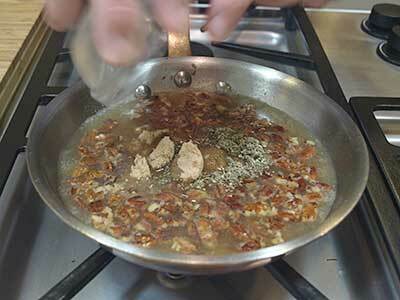 From top left: spray oil, brown sugar, dried sage, pork chops, pecans, chicken broth, salt, olive oil, bourbon. 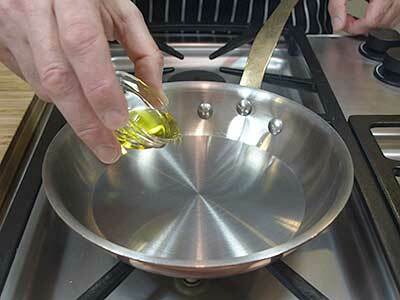 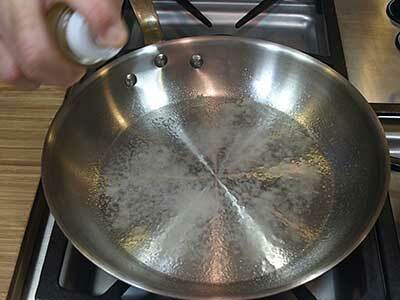 Place the olive oil in a small skillet over medium high heat. 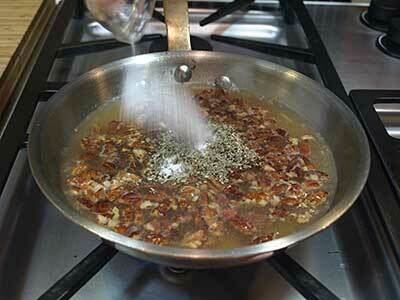 Add the chopped pecans. 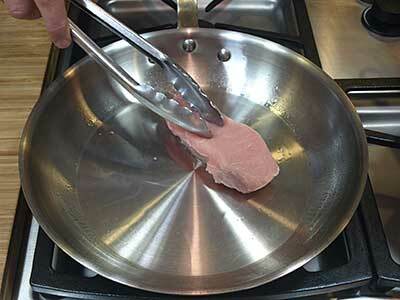 Cook for about 3 minutes. 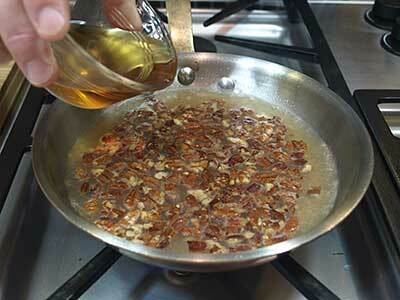 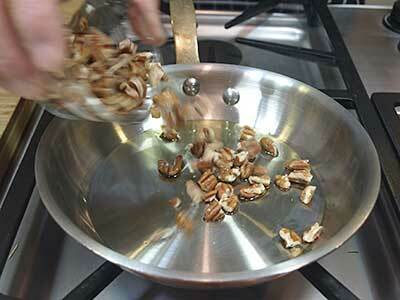 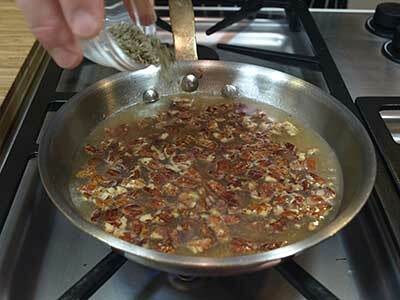 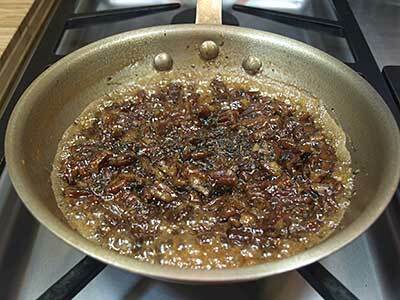 Stir frequently so that the pecans brown, and adjust the heat, if necessary, so the pecans don't burn. 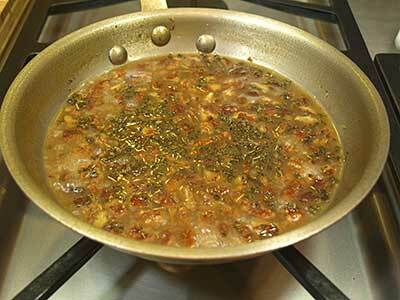 Simmer the sauce for about 15 to 20 minutes. 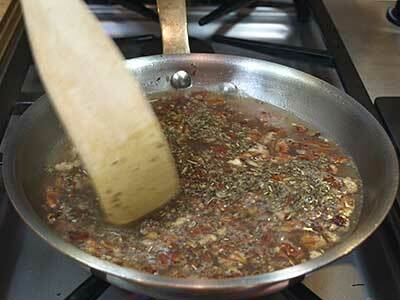 As the sauce reduces, stir occasionally. 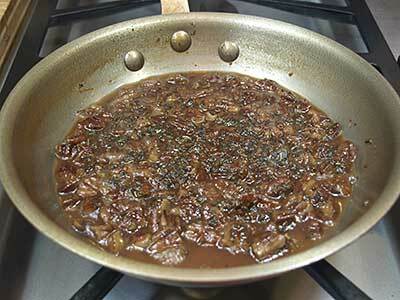 When the sauce is down to about 1/3 cup liquid, reduce the heat to low. 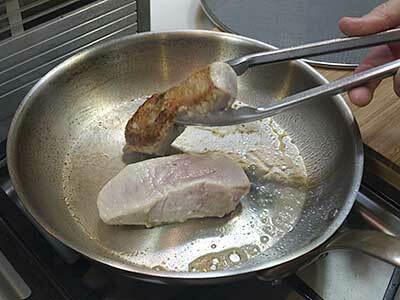 The recipe calls for cooking the pork in the oven, but you can cook them on the stove or grill. 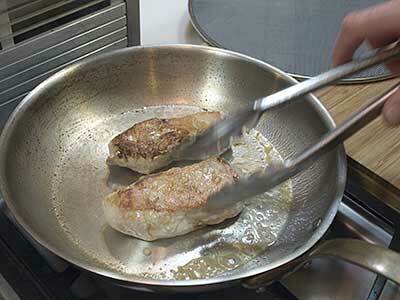 Heat the pan and spray with oil, then add the pork chops. 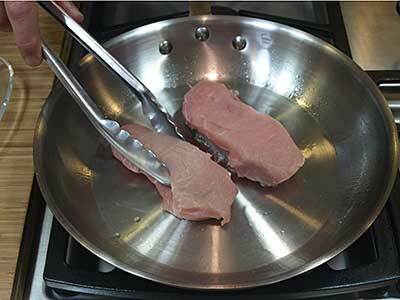 After about 10 minutes, turn the pork chops.